Electronic cigarette starter kit is built for pleasure and performance of the highest standard, offering uncompromising quality. The 650 mAh battery uses platinum core battery cell technology, offering the same great KiK experience you would expect with a longer life e cigarette. 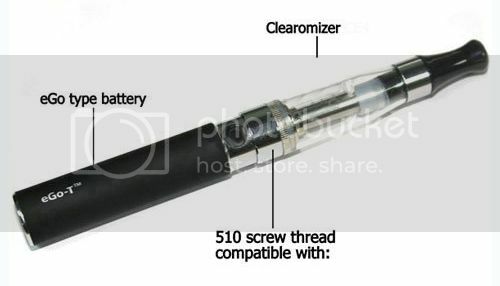 Our CE4 clearomizer has eight individual cotton threads to regulate the intake of liquid and prolong the life of your clearomizer for the best experience possible. The Vape 01 Electronic e cig starter kit is available in six battery colours, to suit all tastes. Comes with 650 mAh battery, CE4 clearomizer and USB charger. Our Cigarette Cigar Lighter is comfortable to hold in your hand. It has special design, fashionable looking appearance makes it unqiue to others. In addition, it is very simple to use. If you want to smoke, pls press down on the button to the top and release its flame ready to serve your needs, great novelty cigarette lighter for smoking people. Made of top quality durable aluminum. The outer cover is painted elaborately and uneasy to scratch and scrape. With the magnetic closure slide design, it is easy to open and close. It can store 5 pieces cigarettes. Convenient to carry because of its potable and lightweight design. Keep cigarettes from moisture and mold effectively. An ideal gift prepared for your lover or friends. Cigarettes pop out from the top automatically by sliding the side switch. It has built-in butane lighter with refilling port.